A globally popular and often affectionate dog, which breed is this close up shot taken from? Click through to reveal the answer. 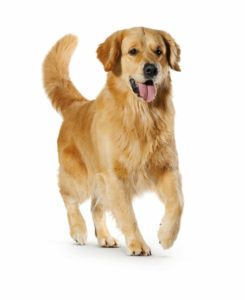 Golden Retrievers tend to be a universally loved and trusted breed – but they are also versatile sporting and working dogs. In sports, they can be readily trained to excel in disciplines such as obedience and agility, which is why they are often deployed as rescue dogs and guide dogs. They can also make outstanding trackers and retrievers.